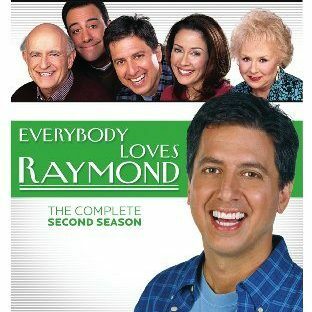 Click here to purchase the Everybody Loves Raymond Season 2 DVD’s! Ray is devastated when he discovers his family lied to him about his television debut on a sports chat show. When he gets a second chance to appear on the show, his family decides it’s time they gave him some pointers on how to correct his awkwardness with certain words. While Ray tries his best to remember his family’s advice, his guest appearance turns out to be even more disastrous than the debut. Ray gets to use the “active technique” he and Debra learned in parenting class on his parents when their stubbornness goes too far. Ray doesn’t realize how much he’s mastered the technique learned in class until he uses his skills first on his parents and then on Ally, both with surprising results. At the urging of his parents, Ray takes his brother, Robert, out for a night on the town. But when Robert wants to get in touch with Ray’s “feelings” Ray gets a little uncomfortable with “this brotherly bonding thing.” Ray is left wondering if his goodwill gesture was really such a good idea after all. When Ally decides to stop taking piano lessons from her Grandma Marie, Ray tries to teach her an important lesson about not quitting by resuming the lessons he took from his mother 25 years earlier. When Ray sits down at the piano with his mother again, it brings back many fond childhood memories of the nice times they shared at the piano. So nice, that it makes him wonder why he ever quit taking the lessons in the first place, and if his father’s negativity about boys playing music was to blame – – until his mother gives him another kind of lesson altogether. At a big surprise party for Frank and Marie’s 40th wedding anniversary, Raymond is shocked to learn that his parents were once separated for a year and might have gotten divorced if Frank hadn’t returned home to help with Ray’s broken arm. After the initial shock wears off, Ray starts to wonder if it’s his fault that his parents are together and miserable. If he had never fallen off his bicycle and broken his arm, Frank and Marie may have stayed apart, fallen in love with other people and had wonderful lives. But then Ray discovers that this time it’s definitely not his fault. When Debra fears that Ray is hiding out at work because he doesn’t want to spend time at home with the family, she asks him to start working from home – – but things don’t turn out the way she planned. When Debra decides to be a nice wife and bring her hard working husband his dinner at the office, she is horrified to find him eating pizza and playing paper football with the guys and Pat O’Brien. Upset, because she thinks he would rather be with them than with his own family, she gets Ray to reluctantly set up a home office complete with a fax, a modem, and a satellite dish. But once Raymond gets “comfortable” in his new surroundings, Debra can’t wait to get him out of the house and back to the office. Sick of reading Ally the same stories night after night and in the mood to be a little creative, Debra decides to try her hand at writing a children’s book. Feeling great about doing something other than being a mom, she invites Raymond to write the story with her. But Debra sees the other side of her easy-going husband when he turns their little project into an all out competition — with Ally as the judge. Ray is feeling guilty about only getting his dad a card for his 65th birthday. So, he makes up for it by buying Frank a beautiful, gigantic aquarium. At first Frank adores the gift, but after one fish dies, he starts to hate it. Ray thinks it must be because the fish’s demise reminds him of his own mortality — until he finds out the real reason and learns an important lesson about father-son relationships. At Debra’s insistence, Ray reluctantly takes her to his 20th high school reunion, and it’s even worse than he expected. It turns out that Debra is “one of them” – – the cool people who hated him and used to throw him into the girl’s bathroom. Depressed about being unmasked as a “nerd,” Ray tries to deal with the “mixed” marriage. When Marie crashes and ultimately ruins her Tupperware party, Debra decides that the day has finally come to tell Ray’s mom she can’t stand her being so critical, intrusive, and overbearing – – and she takes pen to paper. Horrified by thinking what this could cause, Ray does everything in his power to intercept the letter – – but fails. Surprisingly, the family discovers that honesty may really be the best policy. Feeling left out when he thinks that his father selectively asked his brother to join a Civil War re-enactment, Ray voluntarily enlists for the Battle of Gettysburg. As the men prepare for Battle, a funny thing happens and Ray is finally able to tell Frank that he wishes they did more together. So, although Frank’s on the side of the North and Raymond’s on the side of the South, the Barone soldiers are able to put their political differences aside and share much more than a Civil War handshake. All Ray wants for Christmas is a little loving from his wife and he’s willing to try anything and everything to have his holiday wish come true. Ray has tried just about everything to get Debra “in the mood” and his dream comes true when she finally falls victim to his boyish charm on Christmas morning. The problem? At the very moment that he gives her the shivers, his entire family is working their way into the house for Eggs Florentine and gift unwrapping. But where there’s a will, there’s a way — and Raymond is determined to get what he wants from Santa this year. When Ray’s “Zia Sarina” comes to visit all the way from Italy to help Ally with a school project on family trees, he’s thrilled to finally meet a relative whom the whole family likes. She is instantly adored by her American family for her way with Pizza and Old World charm. Ray, as always, thinks it’s too good to be true — and he turns out to be right. When Raymond chooses his mother’s spaghetti and meatballs over his wife’s lemon chicken, Debra gets upset. With good intentions, Ray asks his mom to give Debra cooking lessons. Although Marie and Debra have fun in the kitchen, the meatballs lead Marie to believe that it’s only her cooking that keeps Ray coming by. When Raymond takes over the family checkbook to prove to Debra how “easy it can be” to balance it, he discovers he is no accountant. After he quickly runs out of money and starts bouncing checks, he tries to hide the truth from Debra and winds up entangled in a mess of lies, two fake checkbooks and a large loan from his brother. When Raymond goes on a citizen’s ride along in his brother’s patrol car and sees Robert risk his life during a hold-up, he gains a new respect for him. Spending a shift in the back of Robert’s patrol car bores Ray at first and he wonders why he even bothered putting on a bullet-proof vest. But his boredom quickly turns to terror during a chance visit to Nemo’s restaurant that puts him in the middle of a hold-up. When Robert saves the day by throwing a hot pizza in the burglar’s face, Raymond sees for the very first time how courageous his brother really is. Unfortunately, Raymond’s attempt to put Robert in the spotlight backfires and he is forced to try his best to tell his older brother how he feels. When Ally, claiming that there are monsters in her room, insists on sleeping in her parent’s bed, Ray and Debra do everything they can to slay the monsters so they can get a good night’s sleep. A sleep deprived Raymond wonders where the How to Grow a Kid book is when he needs it, especially when Ally still refuses to sleep in her own bed alone — even after her “Sicilian Slicer” father slays the room’s monsters. Finally, Ray and Debra take turns sleeping — with Ally in her bed. But when a tired and desperate Ray presses his mother into service without telling Debra, the whole house is up all night. Debra discovers that her mother-in -law, Marie, likes Robert’s girlfriend, Amy, better than she likes her because Amy is a “good girl.” When Robert accidentally lets it slip to Marie that Amy is a virgin, Marie is thrilled to pieces. Jealous of the attention Amy is receiving from Marie, Raymond minimizes Debra’s premarital activities, leading his mother to believe that Debra was a “good girl” too. When the family discovers why Marie has this sudden “purity” fixation, Robert and Raymond are in for a big surprise. Debra brings an “unapproved snack” to Ally’s T-ball game and Ray doesn’t stand up for her –prominently displaying his fear of being disliked. Debra had no idea that pretzels were not on the “approved snack list” in the orientation packet for Ally’s team. And, as a mom juggling three children under the age of 7, she doesn’t have time to cater — and really doesn’t care. But when Raymond won’t take her side against the uptight team parents, she loses her cool and points out that he’s just afraid of making enemies. But enemies he makes — at the very next game. When Robert’s traffic school students complain that his class causes severe insomnia, he practices on members of his family — who turn out to be even tougher critics. Asserting that “driving is a privilege, not a right,” Robert uses teaching methods that leave his students cold — and bored. So in order to spice up his classes, he practices on his not so willing family. After a few minutes, he loses their attention too — until he creates a ventriloquist dummy named Timmy that is anything but dull, and appears to have a few issues with the Barone family. Debra tries to teach Raymond how to have a “normal” mid-life crisis, like everyone else, after he starts planning his burial. Triggered by the realization that he’s shrinking and is no longer six feet tall, Raymond begins to go through a mid-life crisis. Sensing that he is troubled, his friends suggest that he really just needs some goals and dreams. But when Debra finds him writing his “Things to Do Before I Die” list, she decides to show her husband the proper way to have his crisis. Meanwhile, Marie gets mad at Frank when she discovers that he sold her half of their burial plot for a profit. When Debra gives away all the “baby stuff” at a family garage sale, Ray gets upset that she doesn’t want to have any more children. Ray is surprised to hear that Debra just assumed they were finished having children. As usual, their private business becomes a family matter, and Marie reminds Debra that, “You want to plant your seedlings before winter comes and everything freezes over.” Eventually, their disagreement leads to a sentimental journey down the lane of messy memories past. After Raymond asks Debra why she ever married him, they take a walk back in time — to the very beginning of it all. Raymond is very, very nervous. He’s about to propose to his lovely girlfriend Debra and nothing is going right. But when he finally pops the big question, she accepts, the families celebrate and all is well. At least for five minutes. Then the “nervous” turns into “pure fear” when Ray wonders if she really wants to marry him for love — or if it’s just for the elaborate wedding she’s been planning since she was twelve. Ray fears that Debra is more interested in the wedding than in him. With wedding plans in “runaway train” mode, Ray feels lost amid the endless discussion of veils, bands, appetizers, and wedding vows. He is convinced that he is but a pawn in Debra’s dream wedding fantasy. When the big day finally arrives, though, Ray realizes the he is marrying Debra, and she him, for all the right reasons. What were your favorite scenes of Season 2? Leave us a review! I absolutely LOVE this show. It's hard to pick just one episode because they are ALL so good. 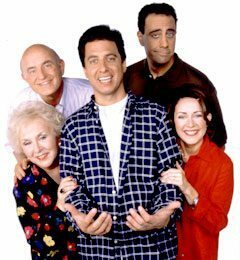 Ray Romano YOU are An awesome writer and you truly captured the essence of being Italian American. I can relate so much to this family because they are very much like my own. Especially Marie. ?